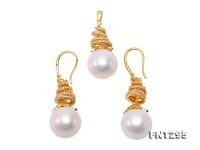 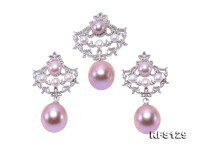 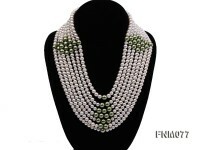 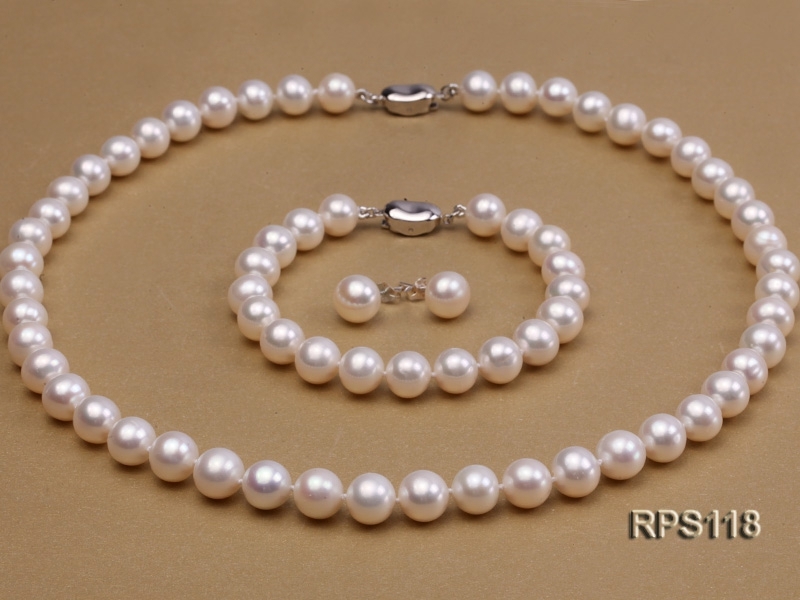 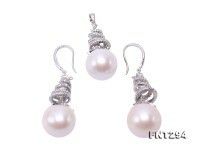 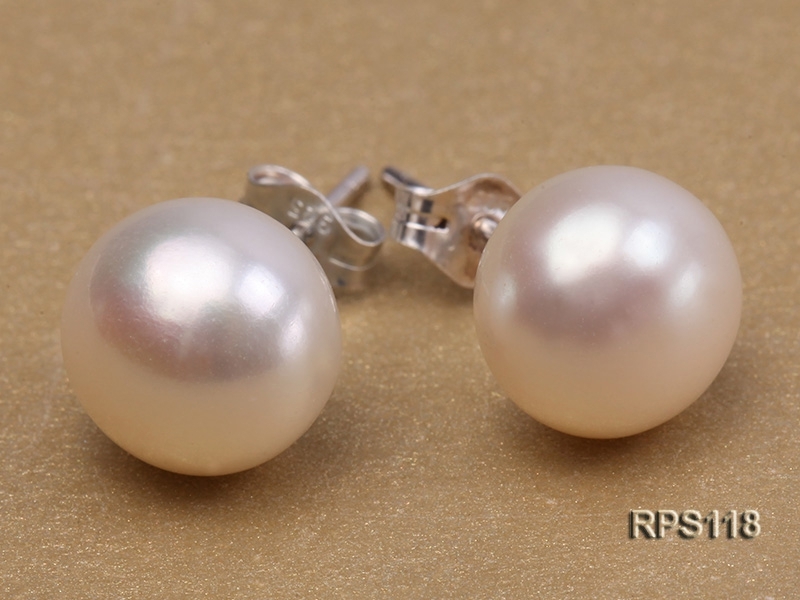 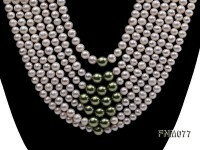 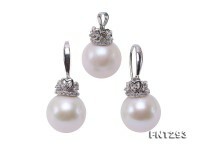 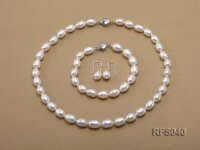 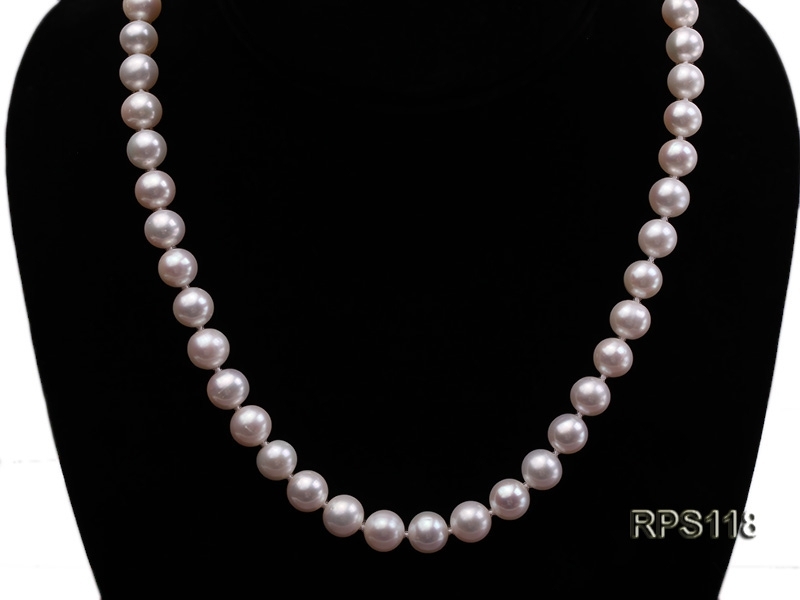 Charming freshwater cultured pearl set made of 9mm AAA white round pearls. 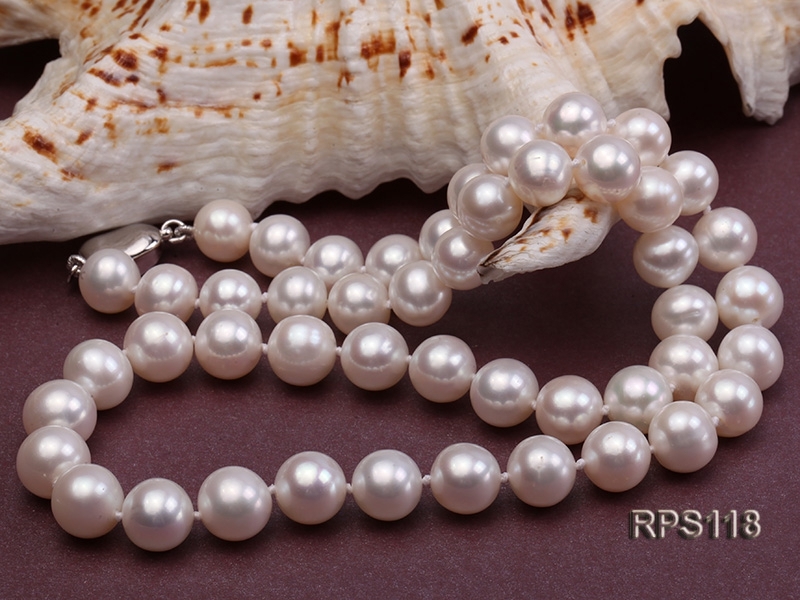 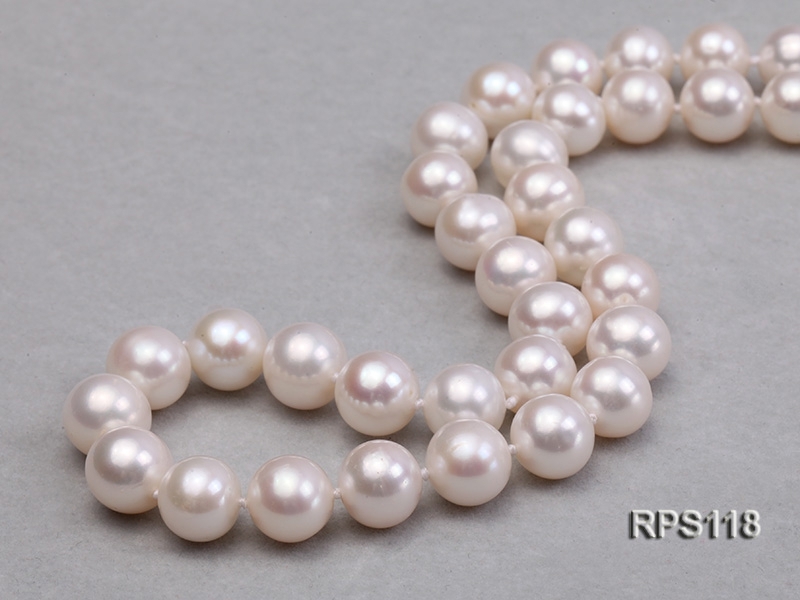 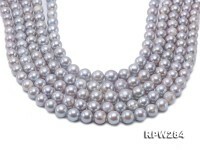 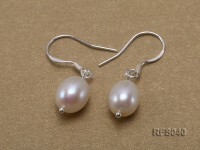 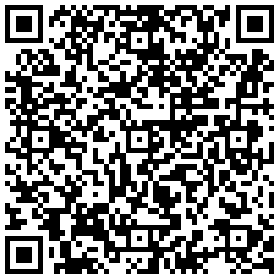 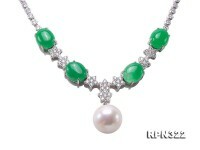 These pearls are of good luster and smooth surface. 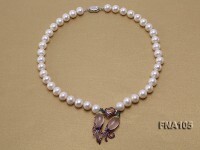 The necklace has a length of 18 inches and the bracelet 7.5 inches,both of which are closed by a gilded clasp. 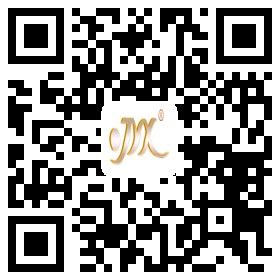 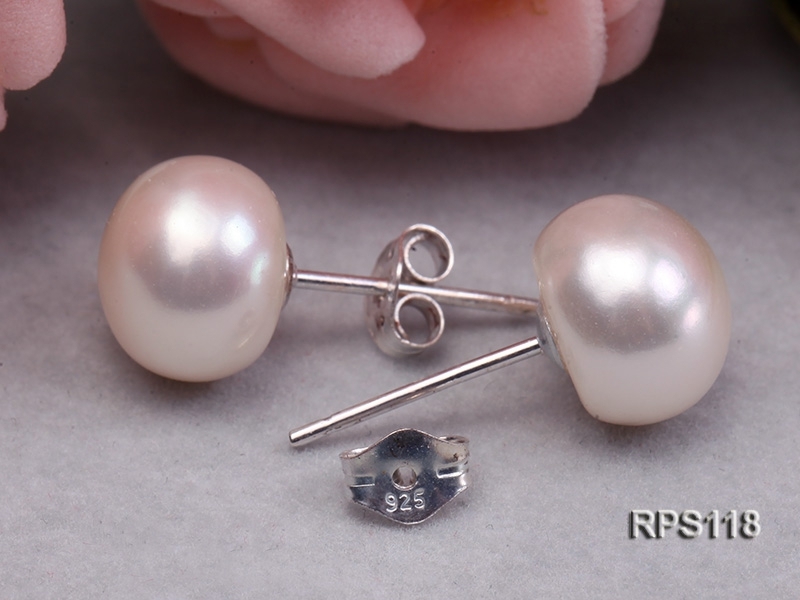 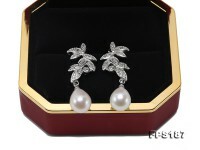 The earring studs are made of sterling silver. 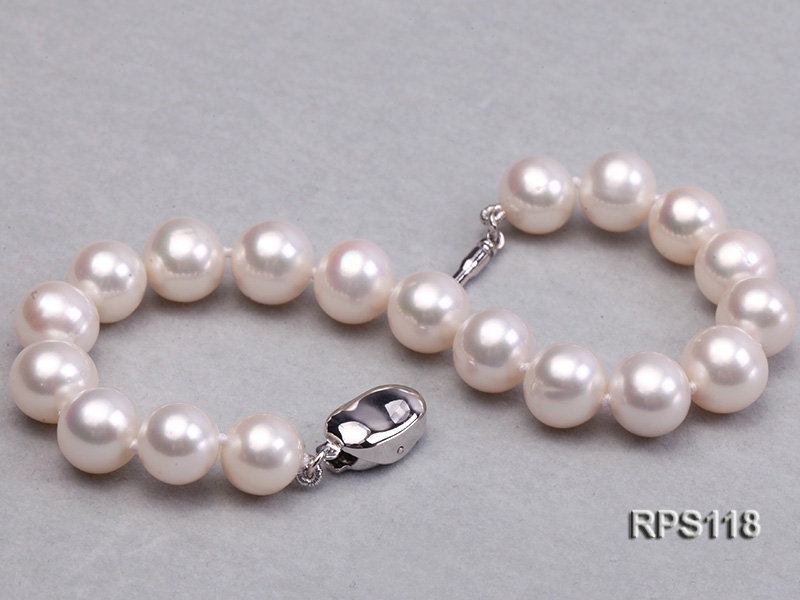 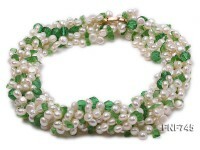 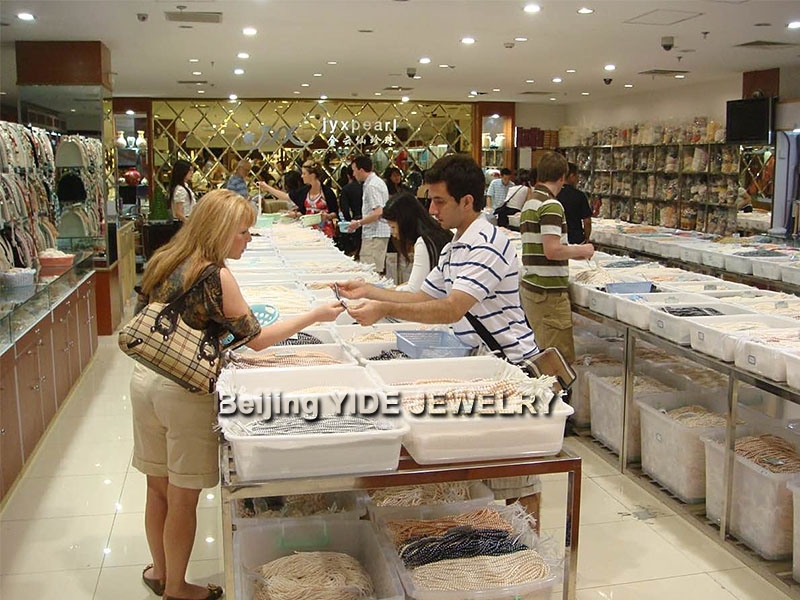 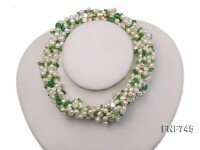 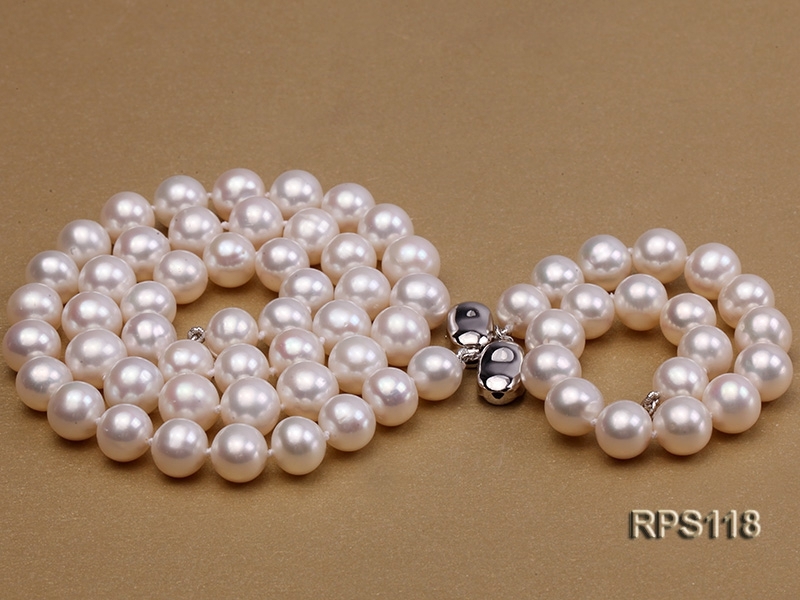 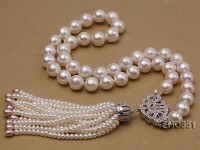 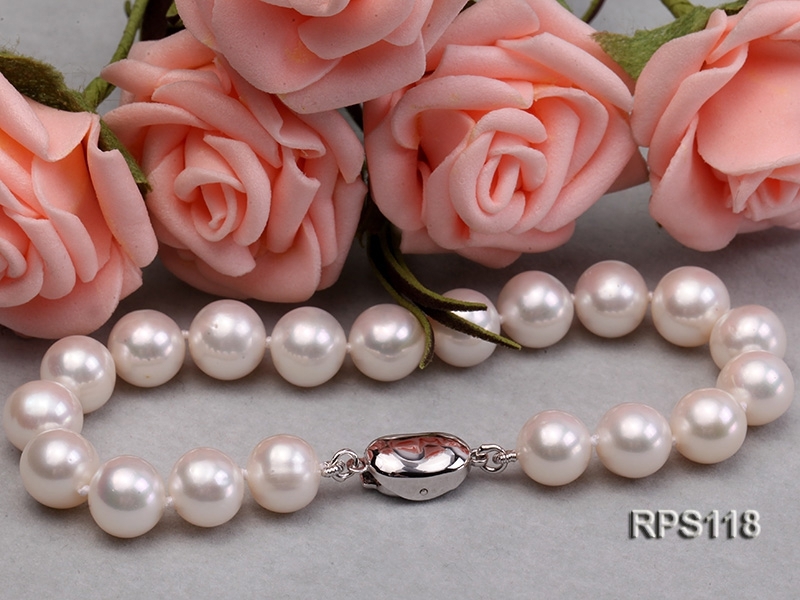 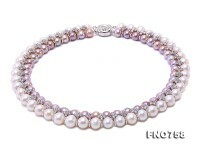 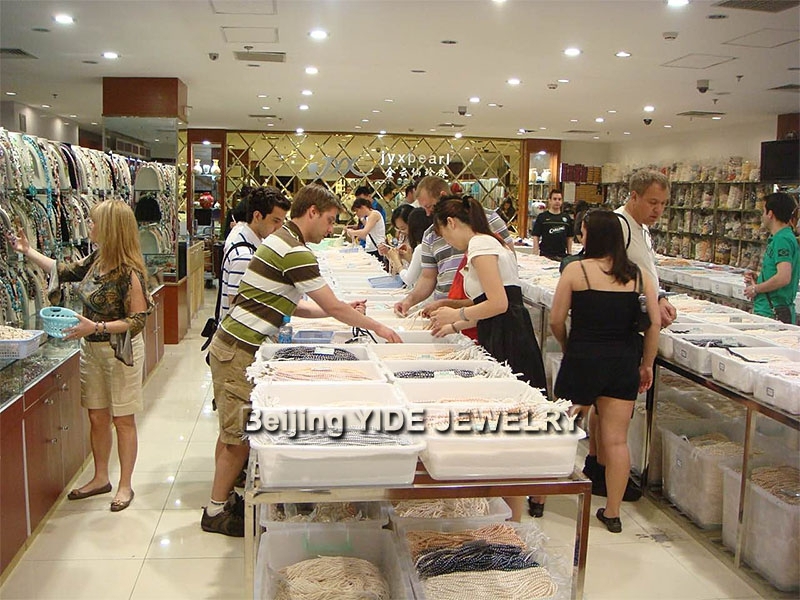 The necklace and bracelet are professionally hand knotted, which can not only protect the pearls from scratching each other but also make them look nicer. 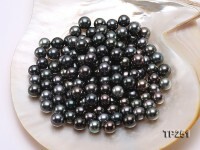 The image may show slight differences in size, color, surface, luster and shape.